For marketing and media inquiries, contact us. San Francisco Magazine captured the spirit of our Mission location in a recent article. SF Eater shares their first impressions of the newest Samovar on 411 Valencia in The Mission. If you’re looking for a leisurely lunch, be sure to visit one of our Tea Lounges. But if you’re looking for a fresh-baked scone and cup of tea brewed in our Tea Crucibles, the new Samovar Tea Bar is just what you need. Take a look at the Crucible Brewing Process in this video by SF Business Times. Paolo Lucchesi shared the inside scoop on our new location on 411 Valencia St. in the Mission District. Check out Adam Weintraub’s feature article in the San Francisco Business Times about the launch of our new Samovar location in the Mission District on 411 Valencia Street. Click here to view the article on the ACBJ website. Beginners to Bigshots featured Jesse Jacobs and Samovar Tea Lounge in the 2004 edition. Here we catch up on what has happened with the business since then. 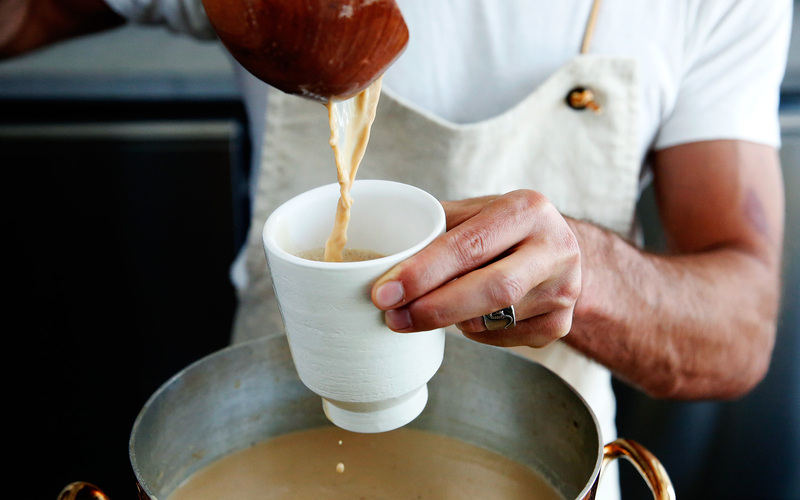 With three locations in San Francisco and a growing presence online, Samovar Tea Lounge, founded in 2001, is poised to deliver peaceful living to the masses. “Our whole focus is on how do we help our customers and people in general get more of what they need, which is often slowing down, focus, calm, reduced stress. We end up really promoting a lifestyle choice,” said Samovar founder Jesse Jacobs. Customers are soaking up the Samovar lifestyle, indeed. The company’s revenue has jumped to north of $4 million today from $2.3 million in 2008. Even more impressive is that since receiving a $160,000 loan through the Small Business Administration and counseling, training and technical assistance from a local Small Business Development Center in its early days, Samovar’s growth has been organic. Mary McCue, president and CEO of MJM Management Group, a designer and manager of public spaces in San Francisco, and a regular to the Mission-Castro location, “begged” Jacobs to open a lounge in Yerba Buena Gardens in 2006. “Developers and landlords have come to realize that we have a solid business, a solid brand and proven operations, and they see it as a great opportunity to increase the value of their property,” said Jacobs, who attributes his company’s growth to a focus on the customer experience. 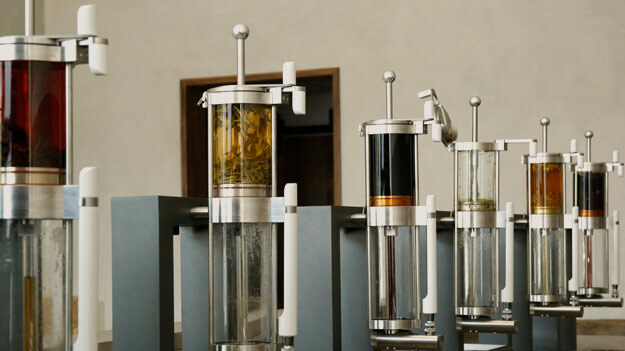 Although Samovar still derives most of its revenue from the tea lounges, it is keen to deepen its relationship with customers online. Its website includes a tea emporium for wholesalers and individuals as well as informational posts about different teas and educational videos about the benefits of tea culture. Jacobs’ recent webinar about meditation and the ritual of tea drinking drew 1,500 participants around the world. “It was a way to reach the entire world with a message about who we are, what we do, and how it can help,” said Jacobs. Nathalie Pierrepont is a freelance writer in San Francisco. More than 15,000 people voted in San Francisco Bay Guardian’s Best of the Bay Readers Poll 2012, for their local, independent favorites. Samovar Tea Lounge was voted the Best Cup of Tea! “Samovar Tea Lounge’s patio and double-height glass wall [at Yerba Buena Gardens] are as transporting as its multicultural menu. To survive in the digital world, there’s no such thing as a 4-hour work week. Sorry, Tim Ferriss. But there isn’t. I don’t think there ever was. But it was a nice idea. The web is live 24-hours a day with a captive audience at all times. We’re accessing it at home, at the office as well as on the road through our iPads, and smartphones, whether it’s the iPhone, Android, or Blackberry. Maybe, all three. Two of the three in my case. So, if we’re always connected with the world, when are we taking time to connect with ourselves? Ummm…never? Ok, maybe when we go to the gym! But, Susan O’Connell, VP of the San Francisco Zen Center, says our bodies and our minds need a lot more! She believes that not taking time to re-connect with yourself daily is not a healthy and fulfilling way to live. Forbes Video Network Visits Samovar Tea Lounge to investigate the role of tea in lives of Silicon Valley Techies. Jesse Jacobs, founder of Samovar, Kevin Rose, founder of Digg.com, Tim Ferriss author of The 4-Hour Workweek, explain why people are getting into tea in these fast-paced times. 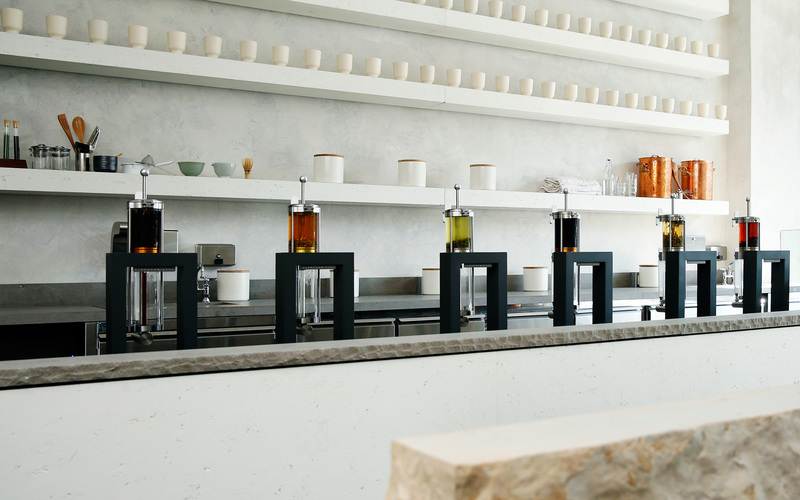 Samovar Tea Lounge has added an organic pu-erh tea from Yunnan, China, blended with ginger, orange peel and the essential oil from blood orange and grapefruit, to its already impressive menu. Pu-erh is believed to have many health benefits, and the leaves thrive under many infusions, so you can brew over and over. Our Eco-Friendly packaging gets mentioned in Fresh Cup Magazine’s January 2011 issue. Samovar Tea Lounge is officially the first tea company to introduce a compostable container for their full line of teas, which are available for purchase at Samovar’s three Bay Area retail locations and online store. Recognized for its award-winning tea menu and leading role in the American artisanal tea movement, Samovar’s latest packaging design marks an unprecedented eco-conscious solution in keeping products farm fresh while having a minimal impact on the environment. Samovar’s new tea box utilizes post-consumer recycled cardboard for its exterior shell, water based inks, and wood-based fiber material to retain maximum freshness for their handcrafted teas. A pioneering Bay Area green business, Samovar proudly introduces a sustainable package that’s as impermanent as the tea itself. Jesse Jacobs ( realritual.com), founder of Samovar, was interviewed by TechCocktail.com about mindfulness in business. Samovar was featured in the November 2010 edition of Shambhala Sun, today’s best-selling and most widely-read Buddhist magazine. Samovar founder Jesse Jacobs was interviewed for this Fresh Cup Magazine article all about matcha, the jade green powdered green tea from Japan.